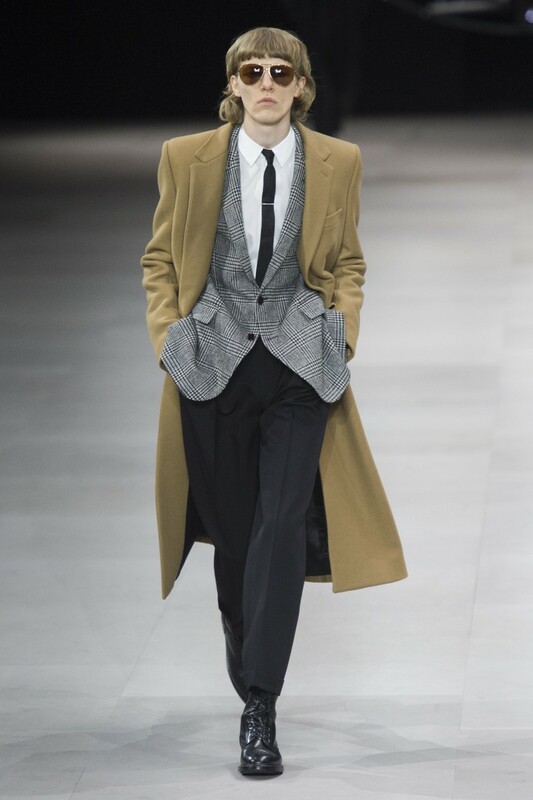 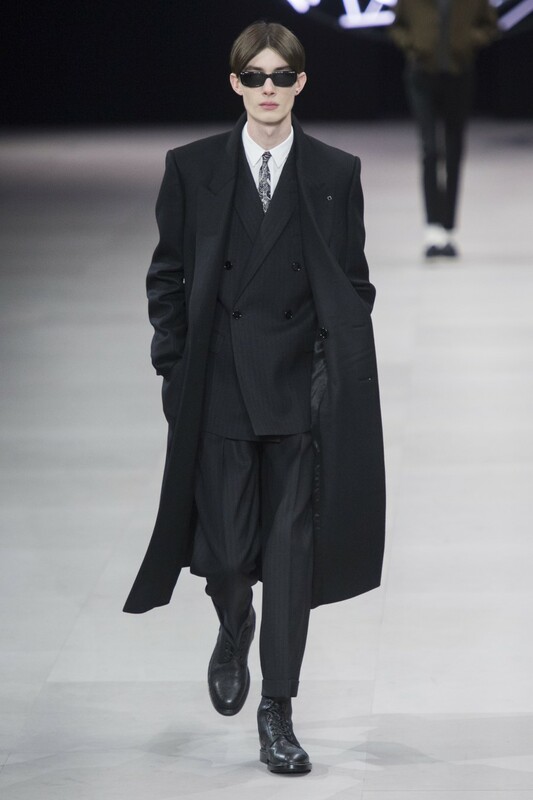 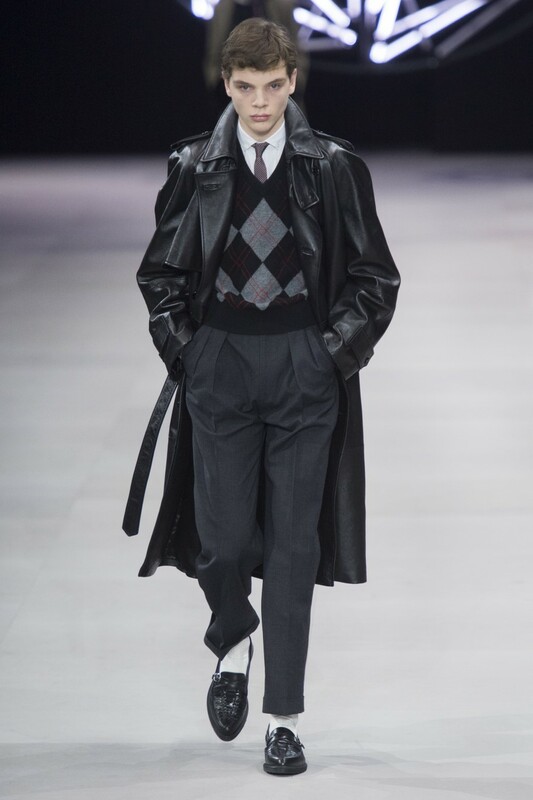 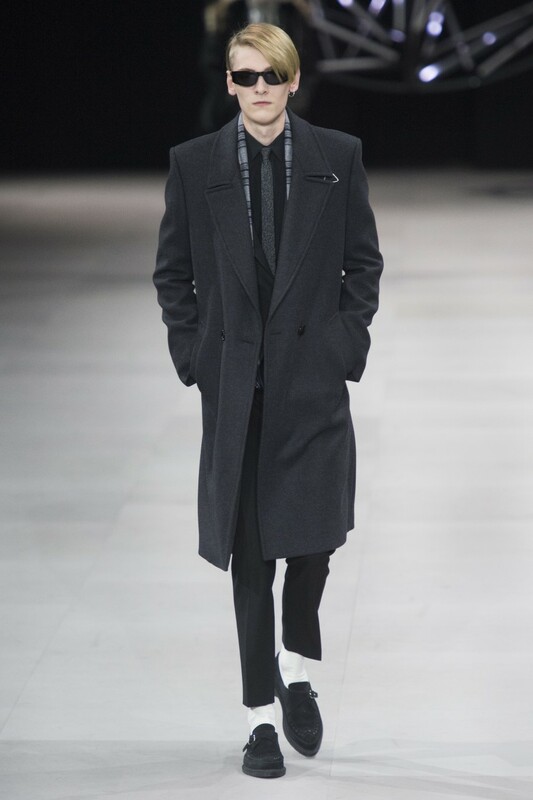 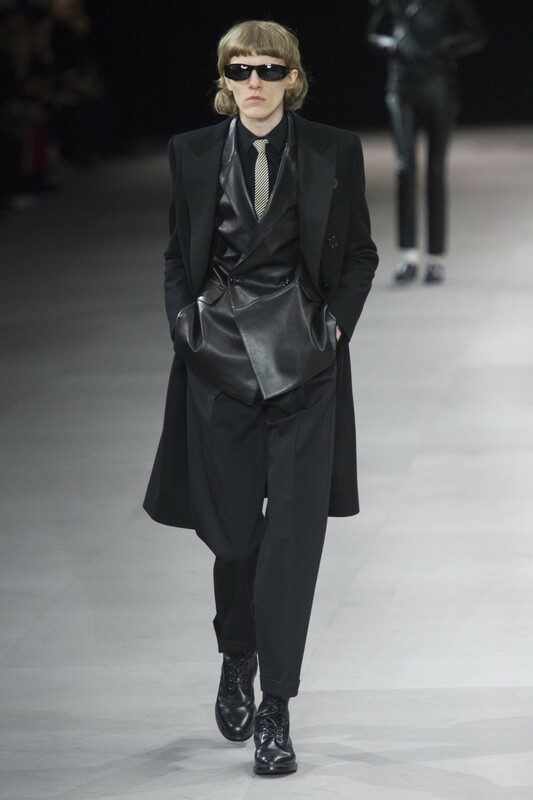 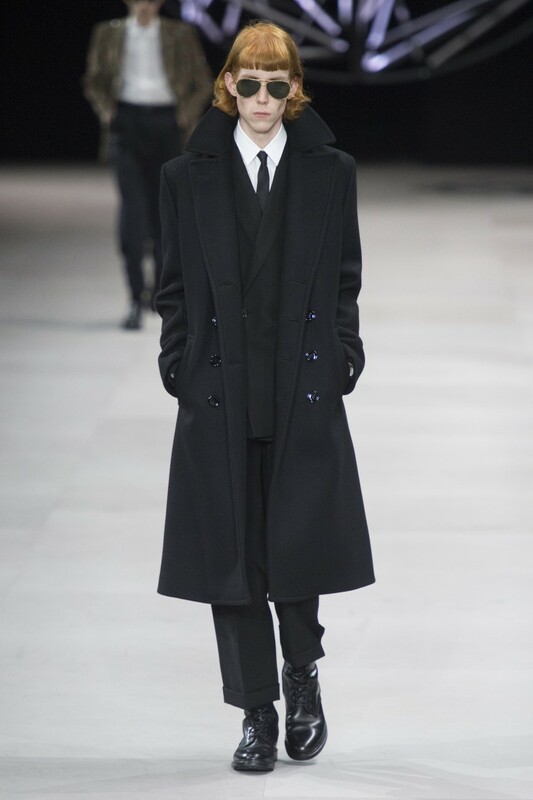 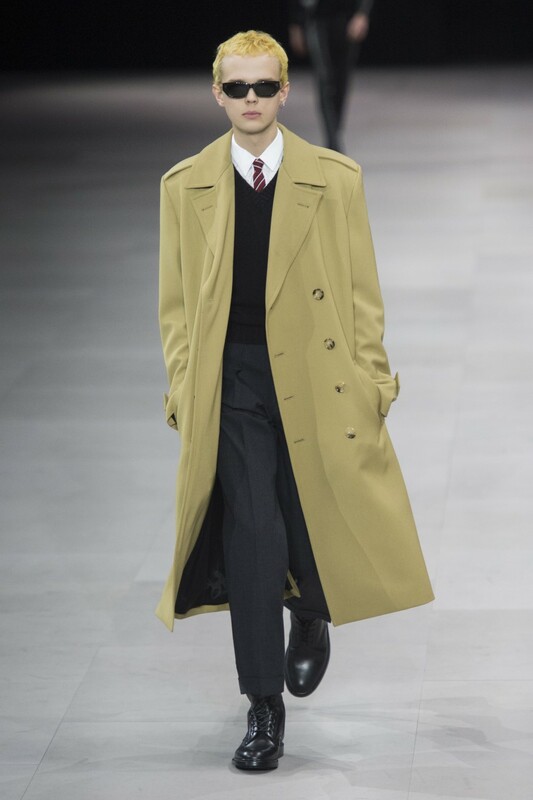 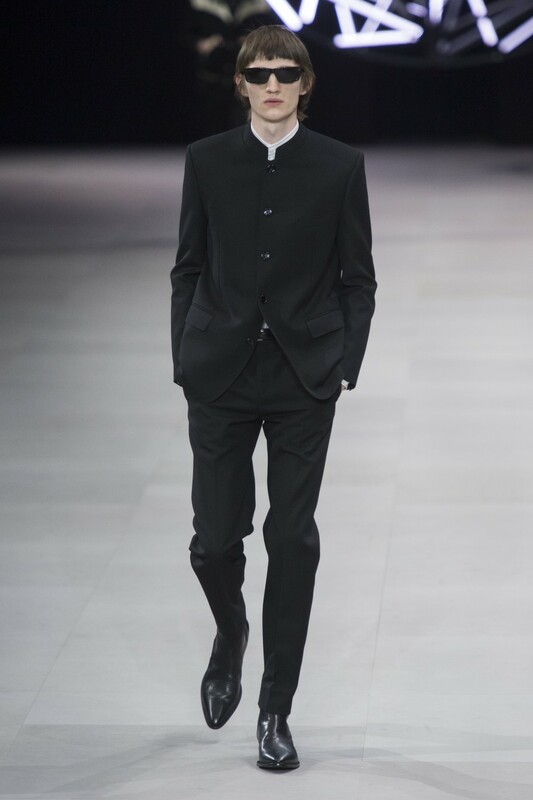 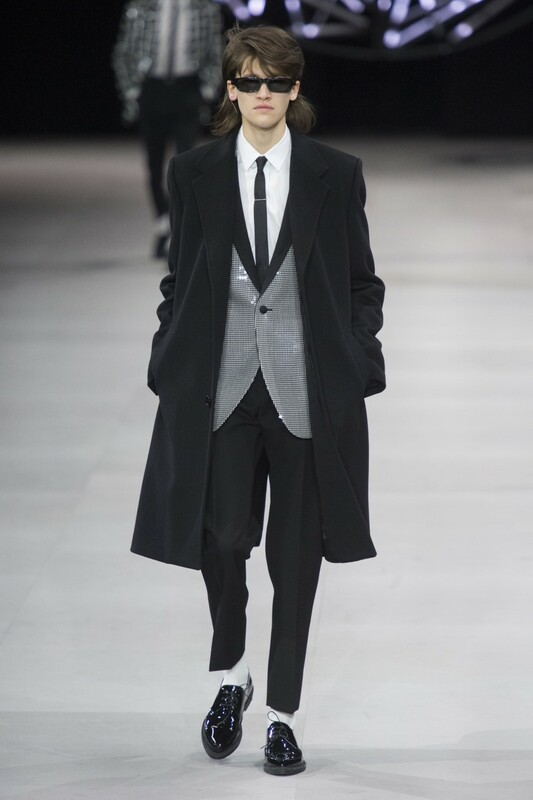 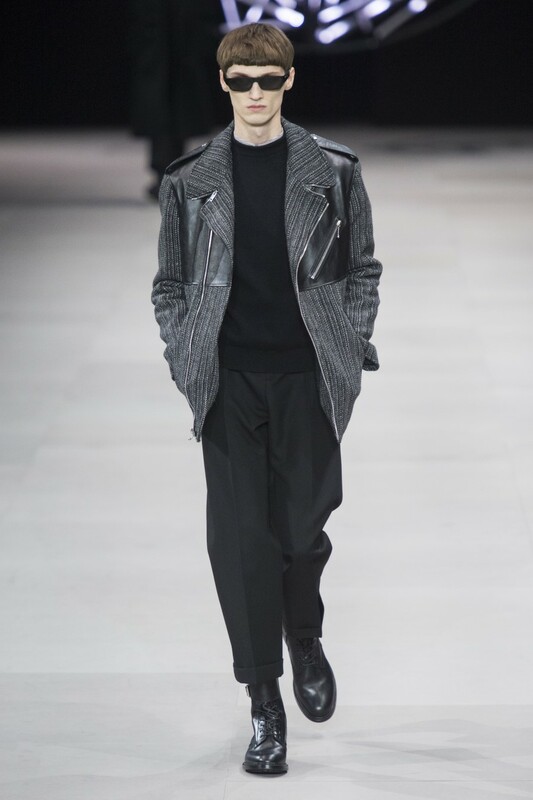 If his debut coed collection was all about Parisian chic, this first dedicated men’s outing was an ode to London, where Slimane has been spending time lately. 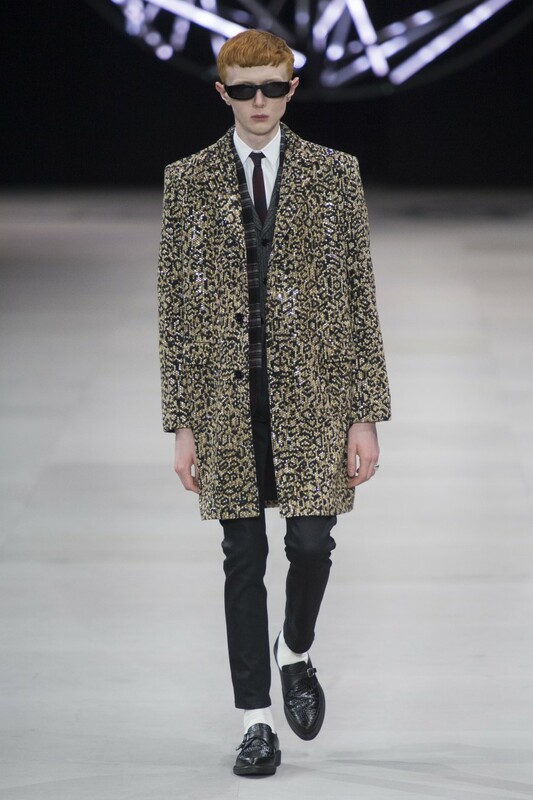 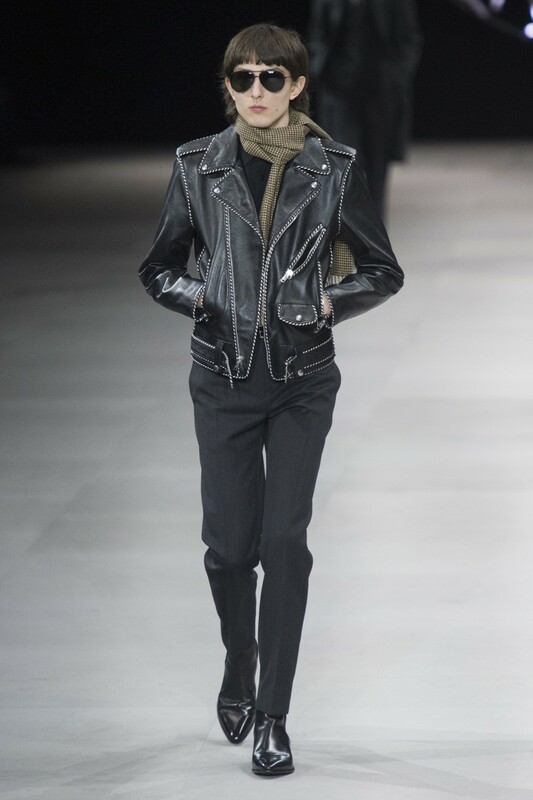 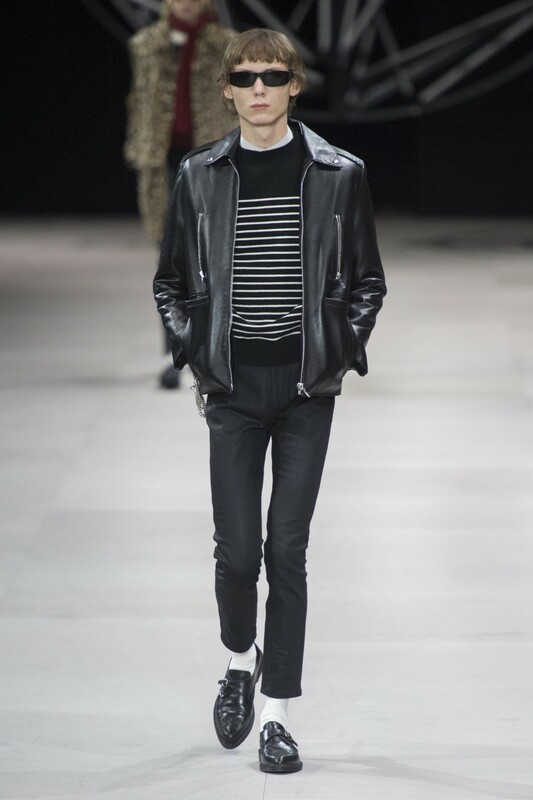 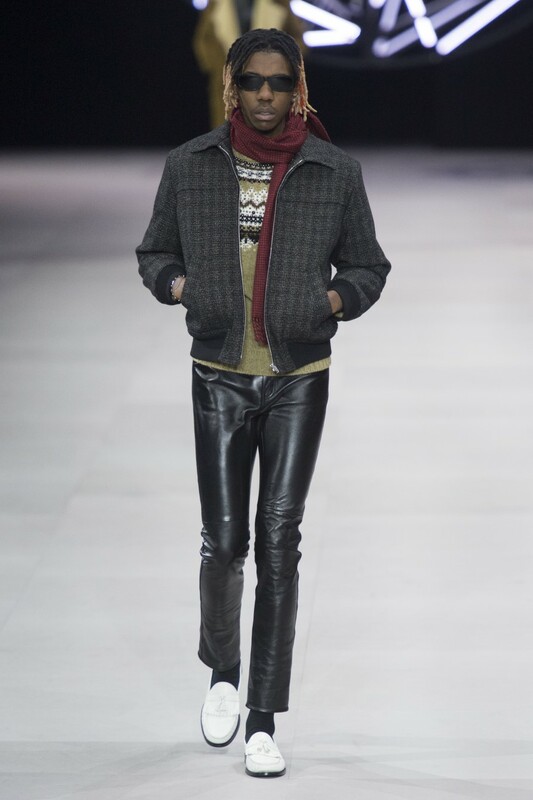 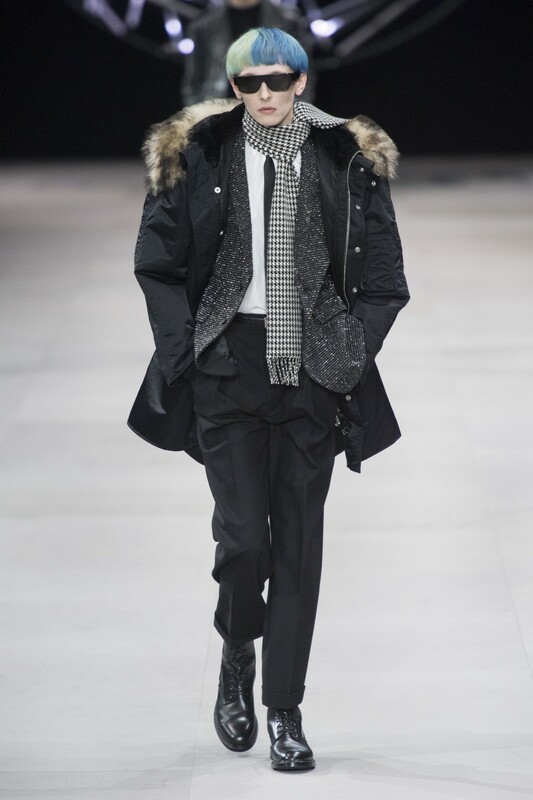 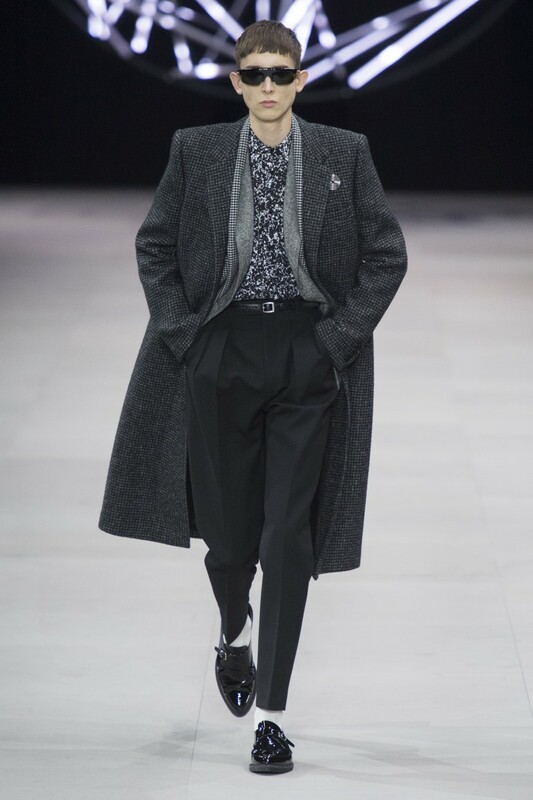 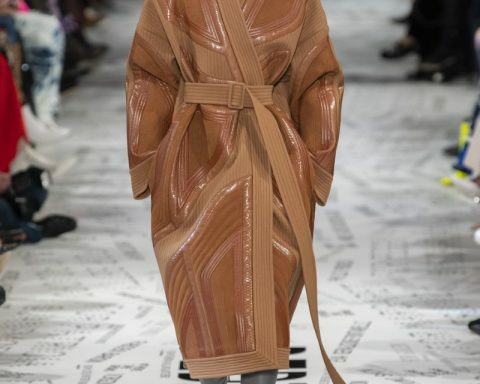 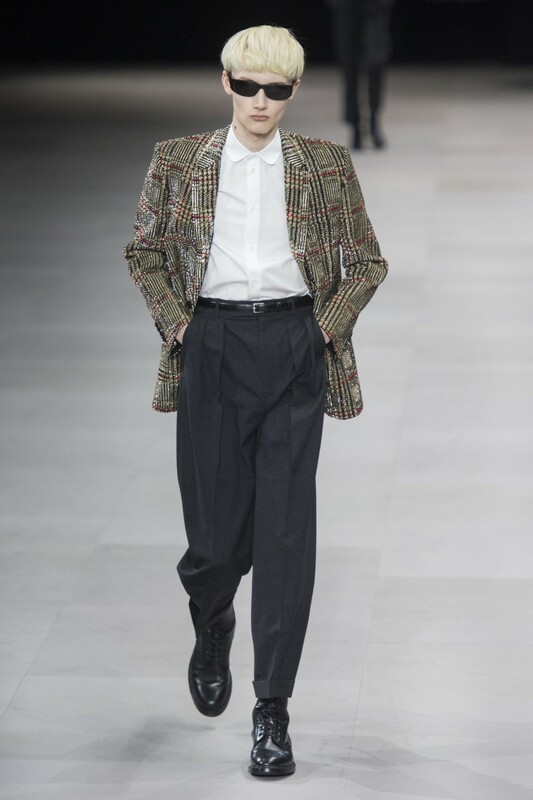 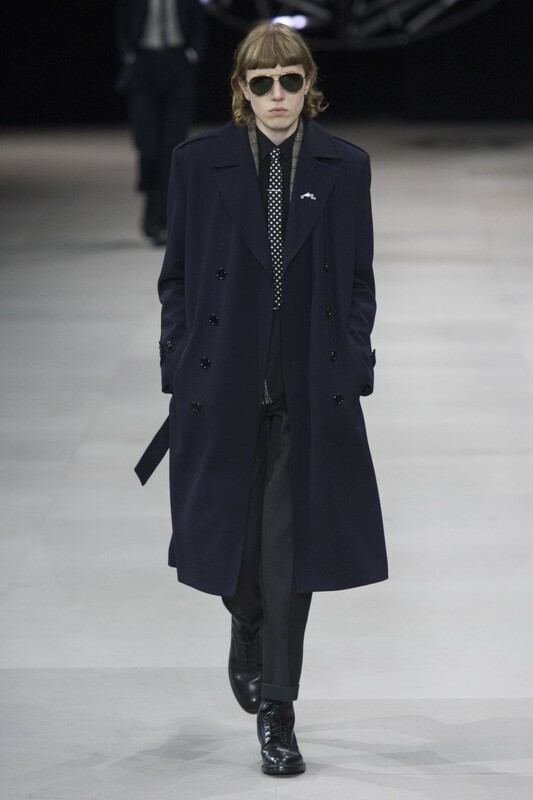 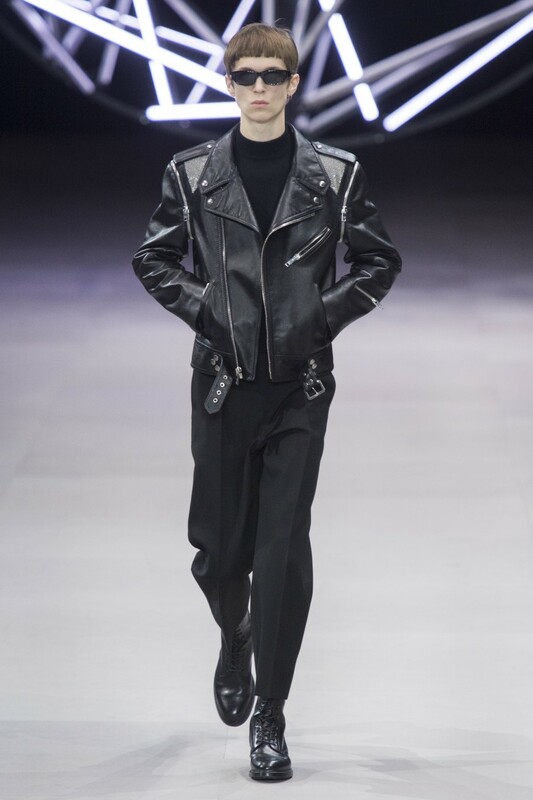 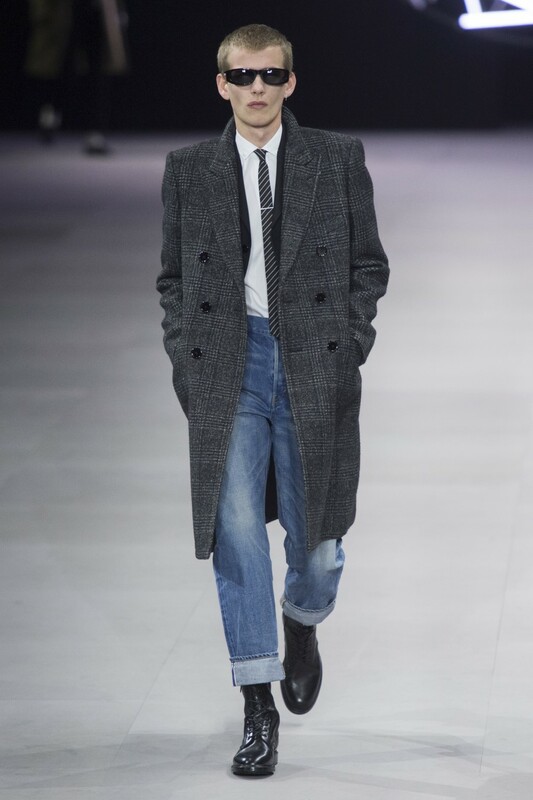 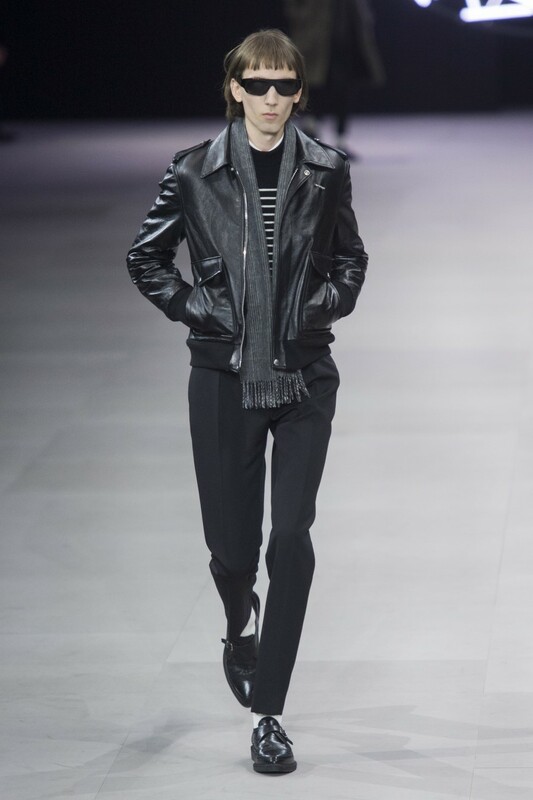 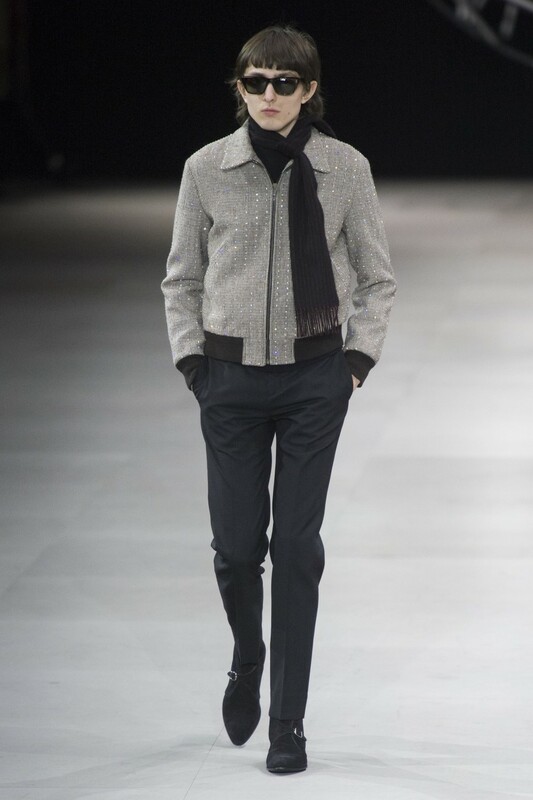 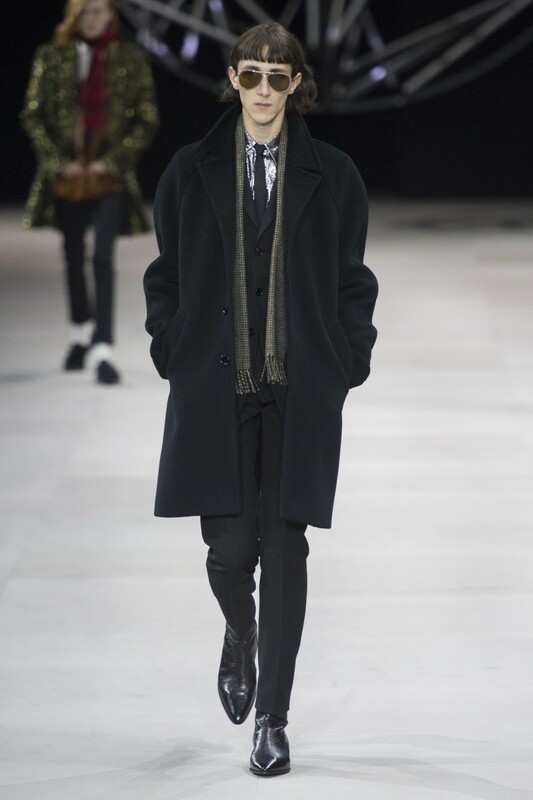 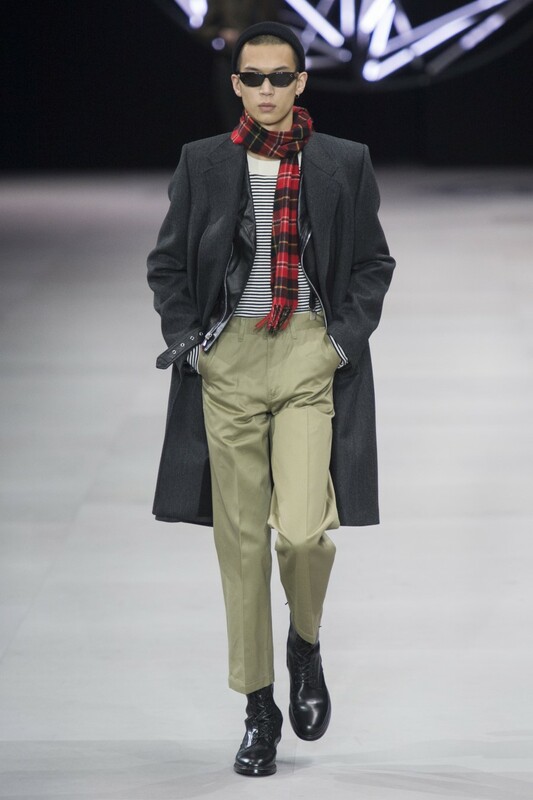 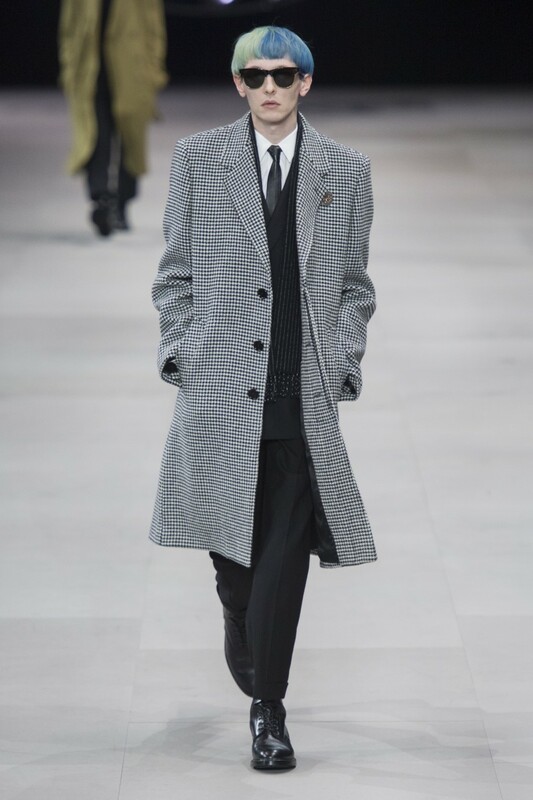 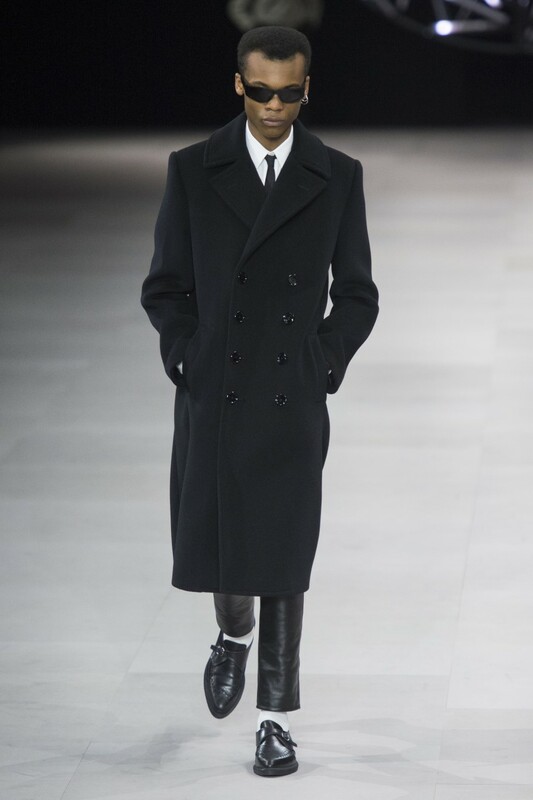 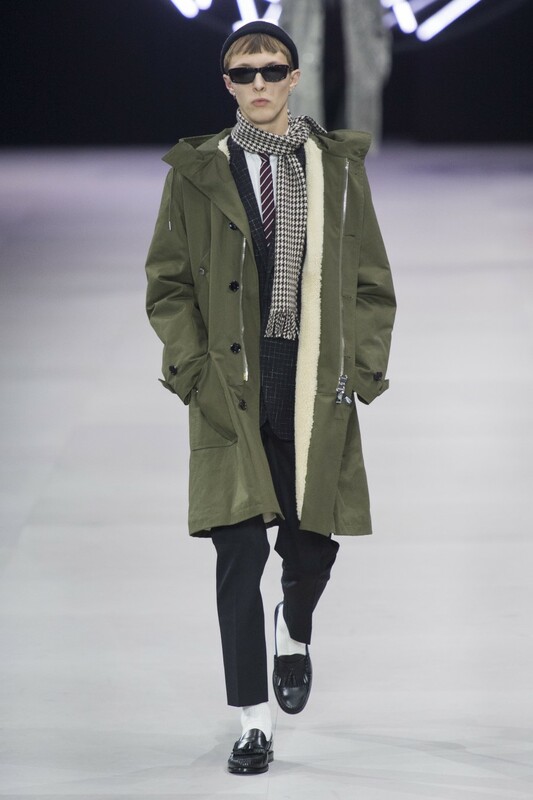 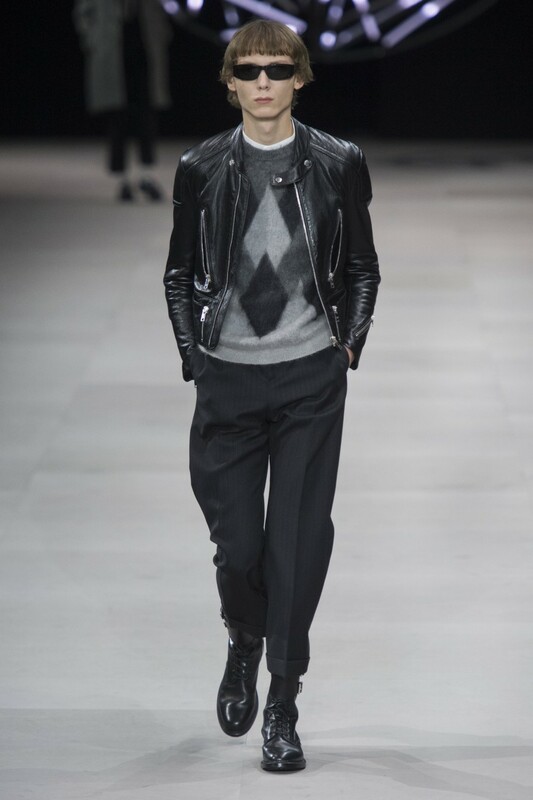 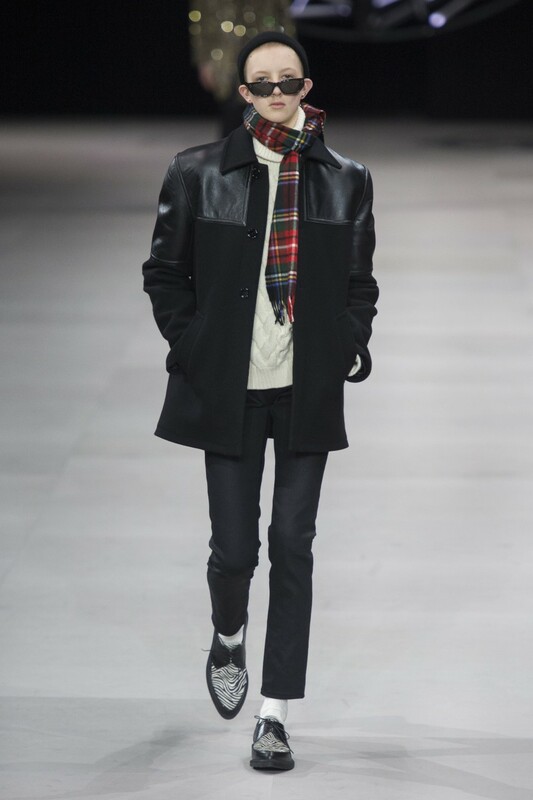 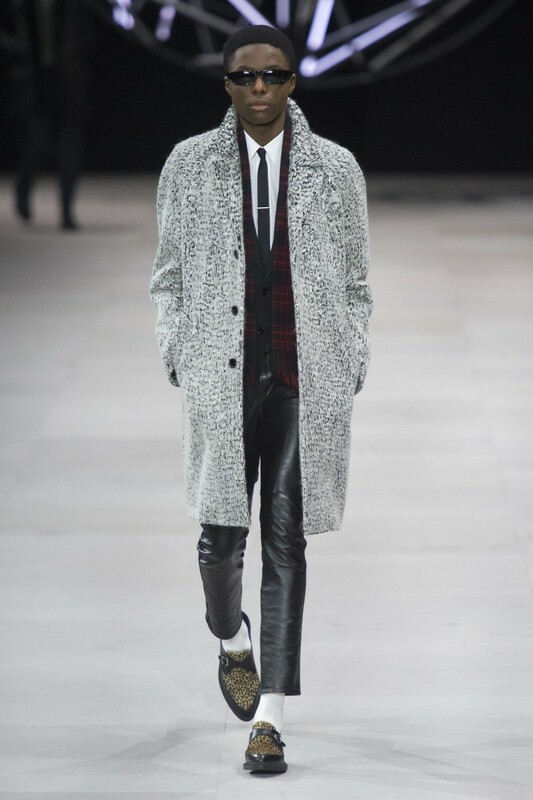 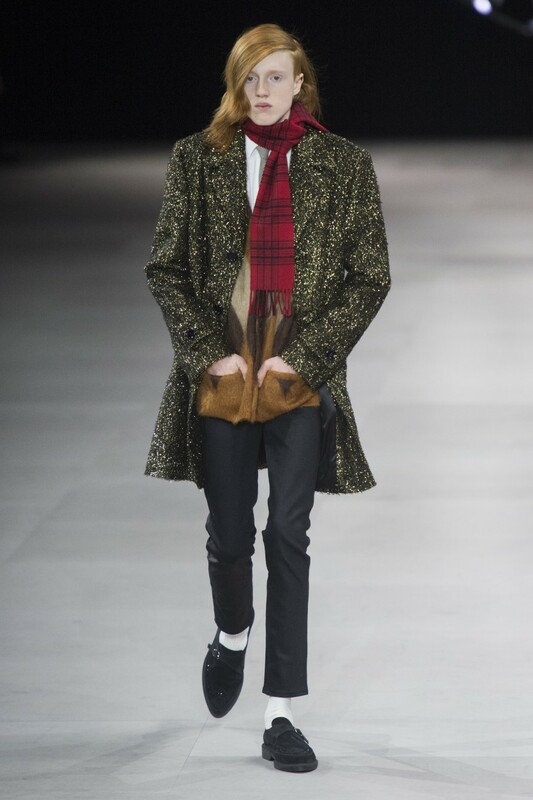 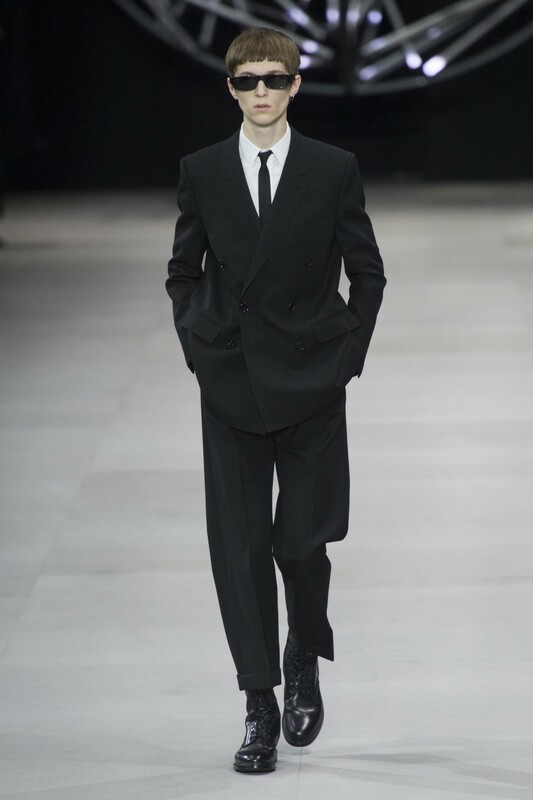 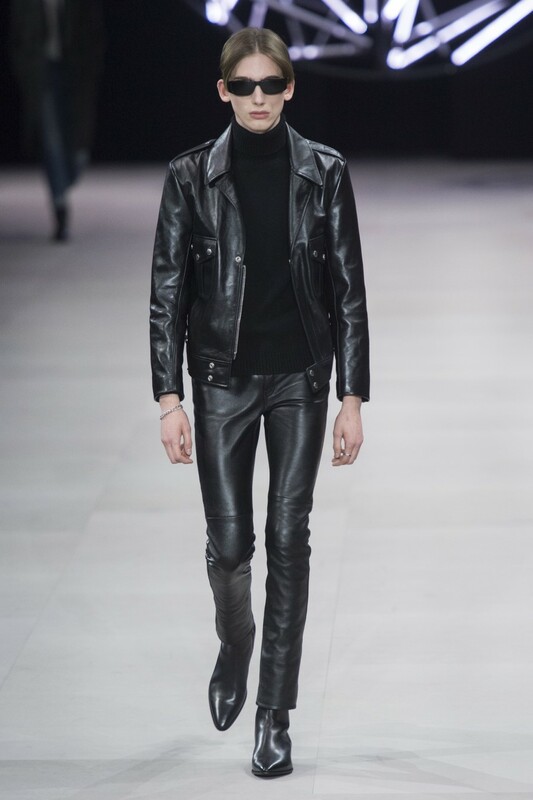 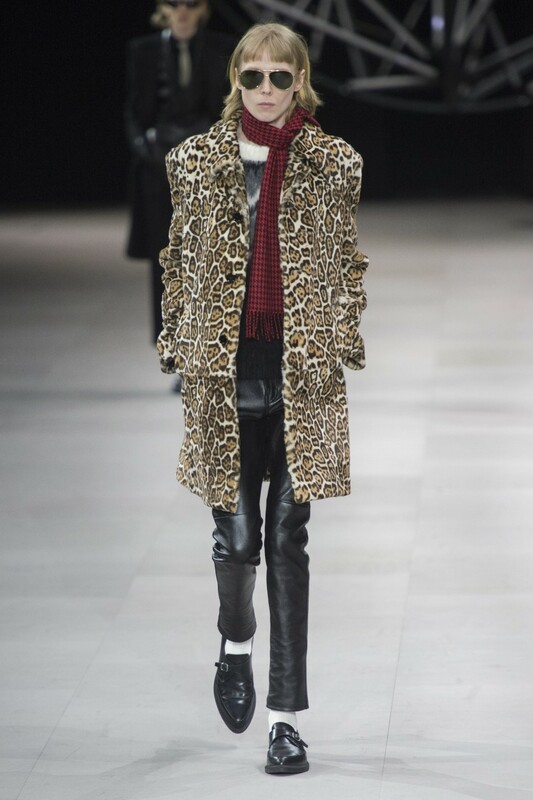 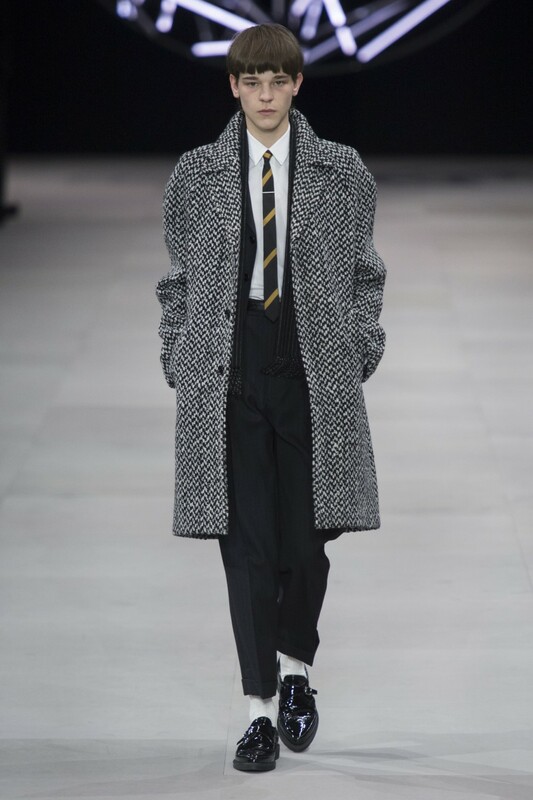 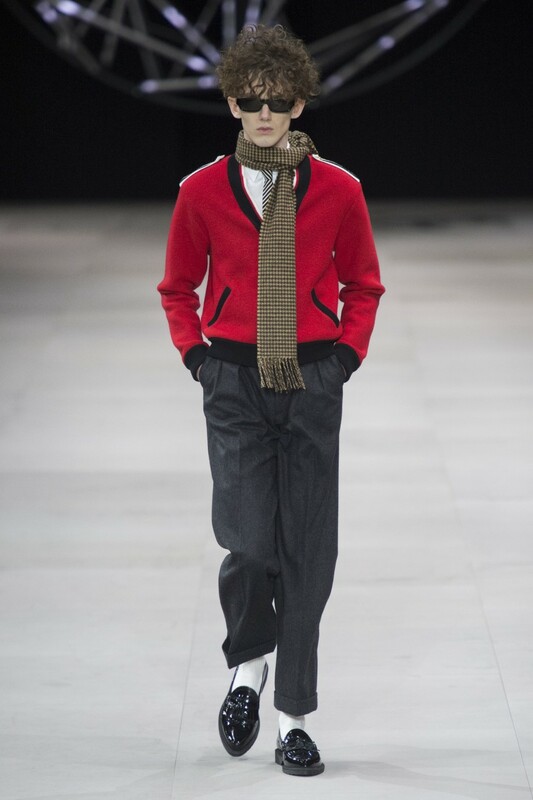 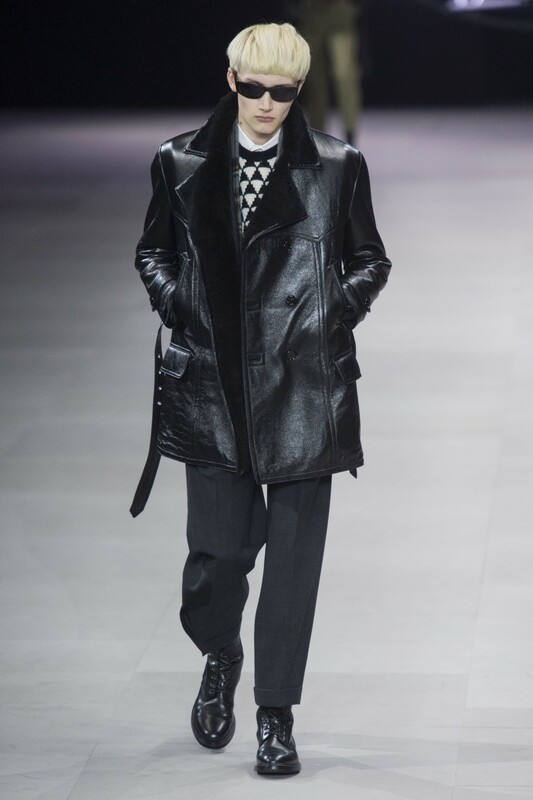 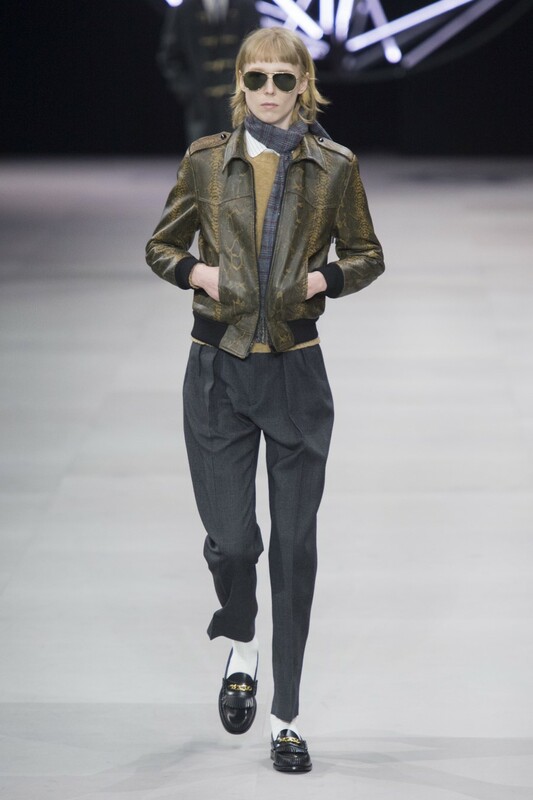 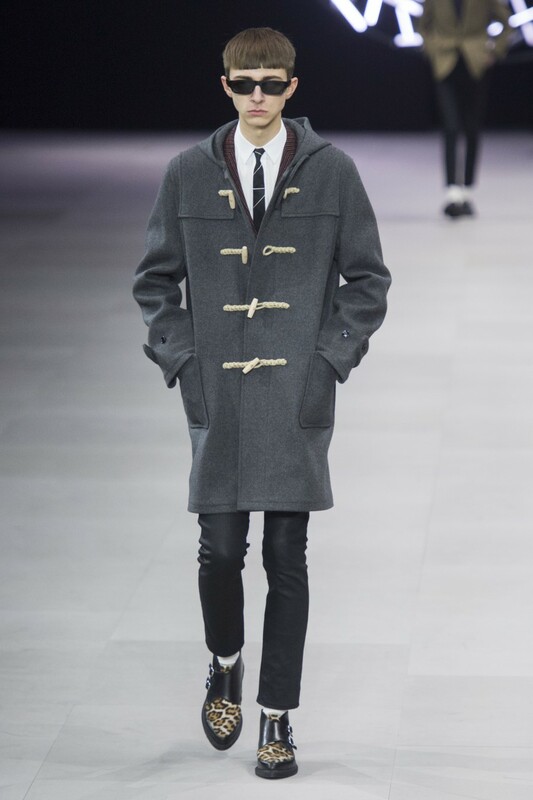 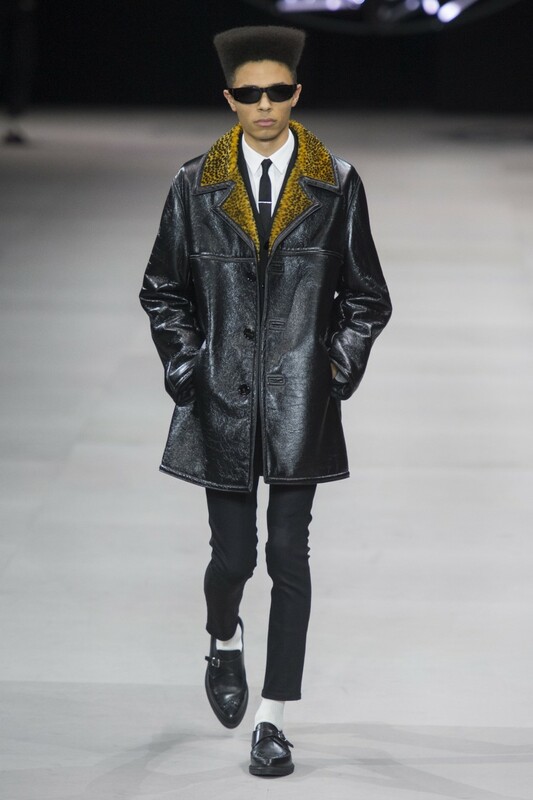 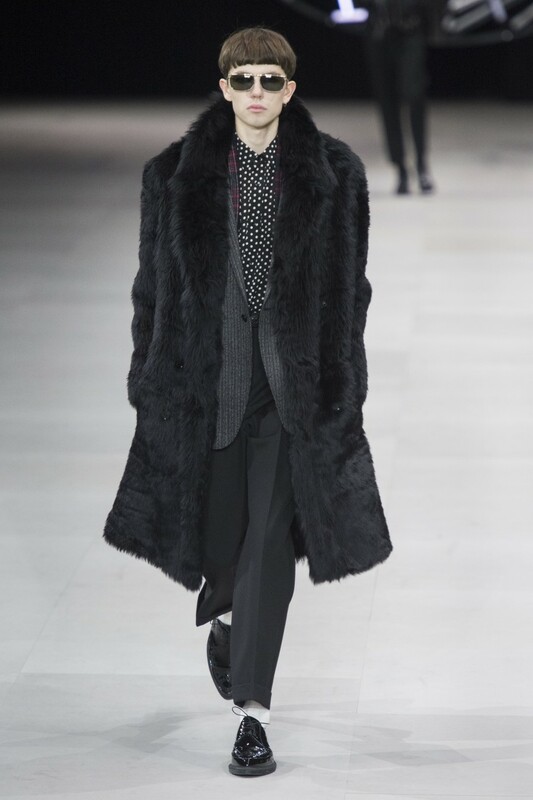 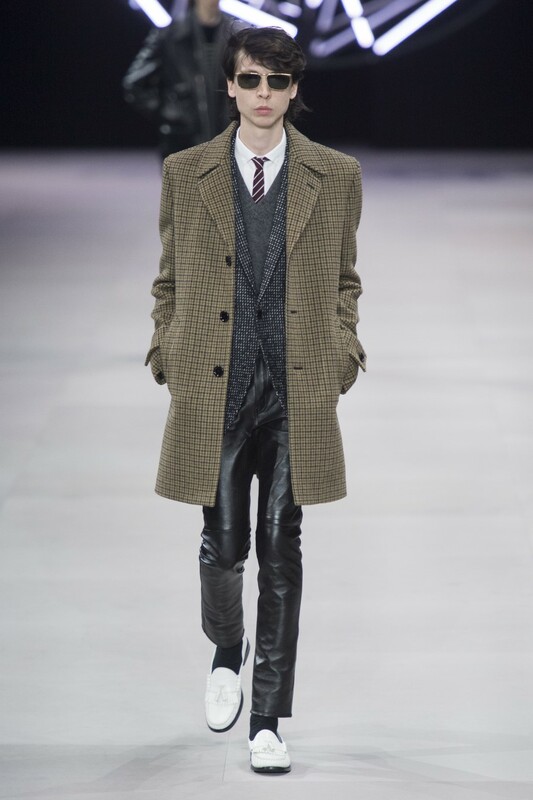 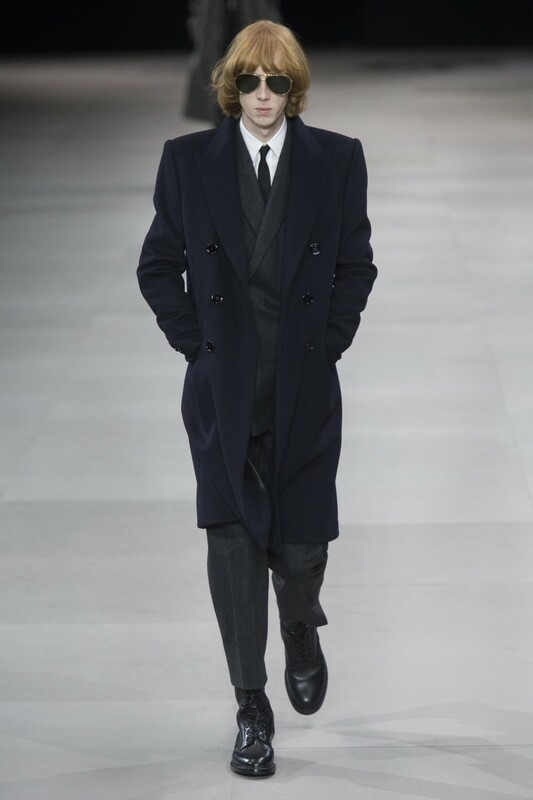 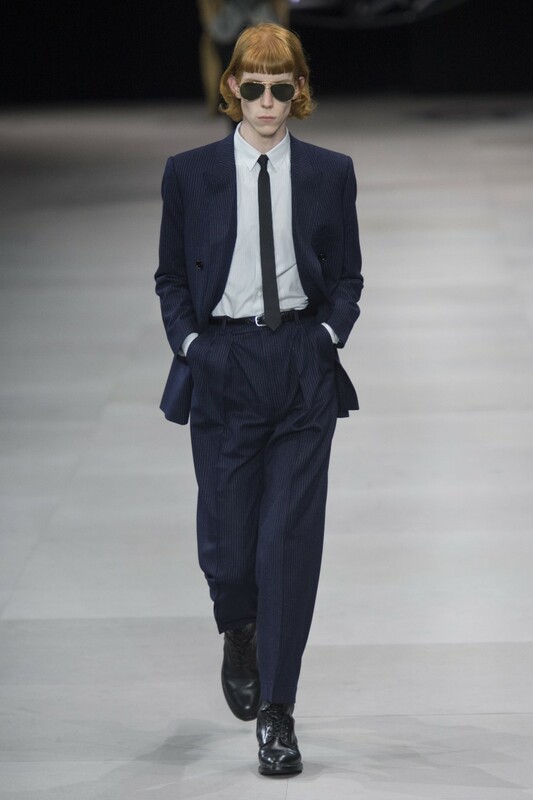 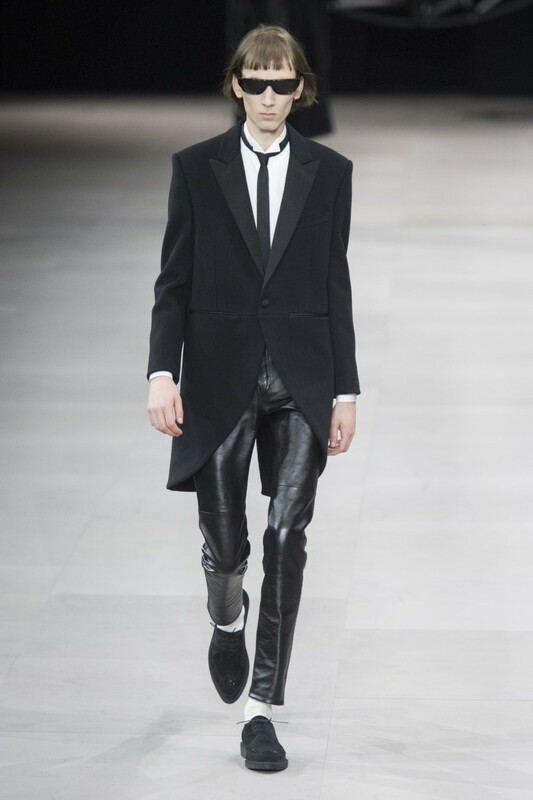 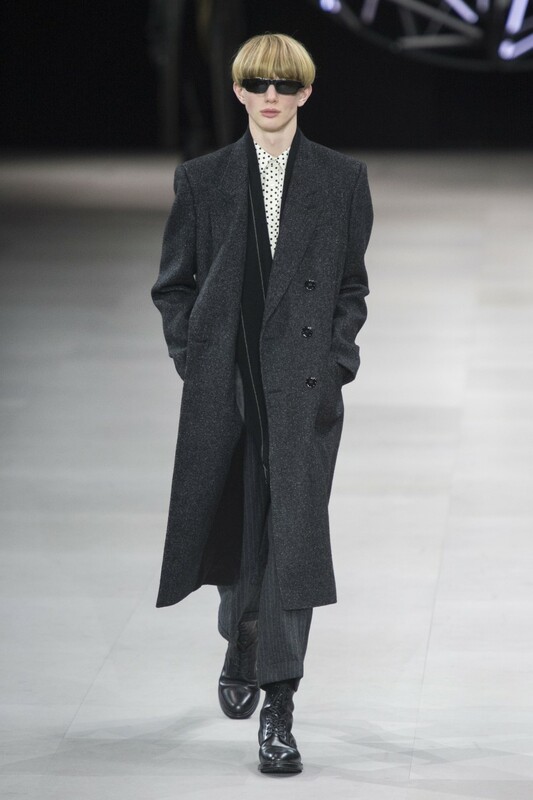 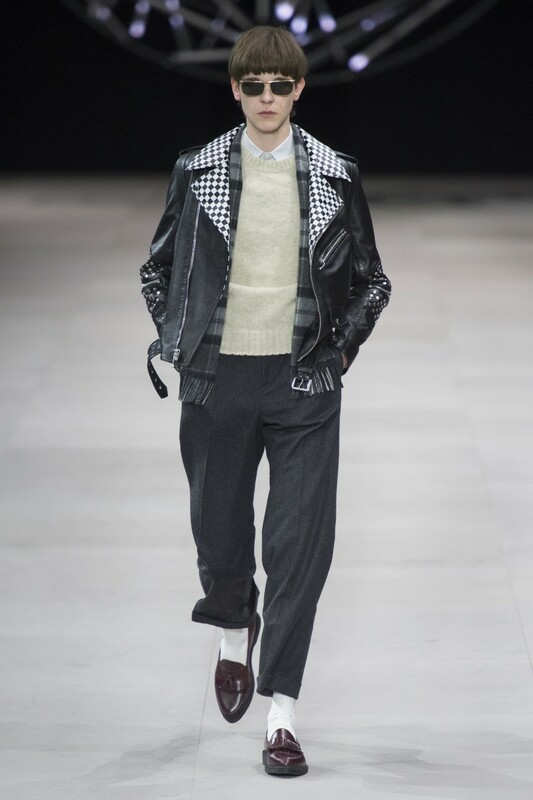 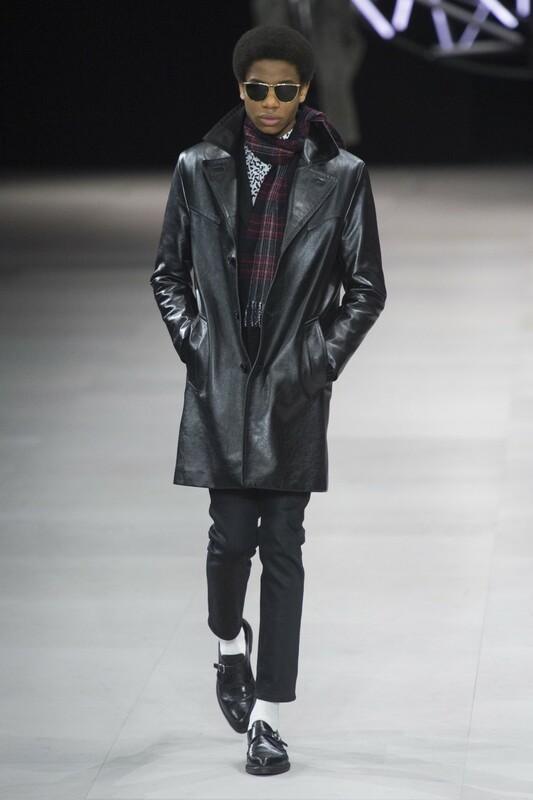 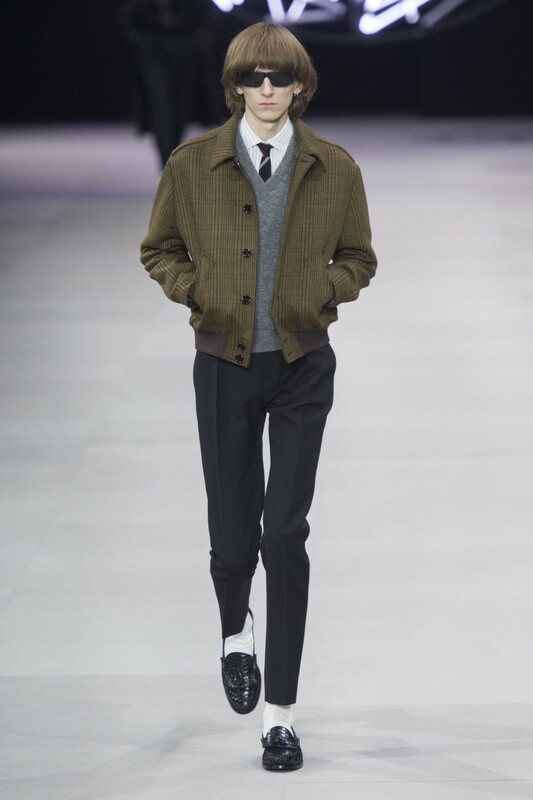 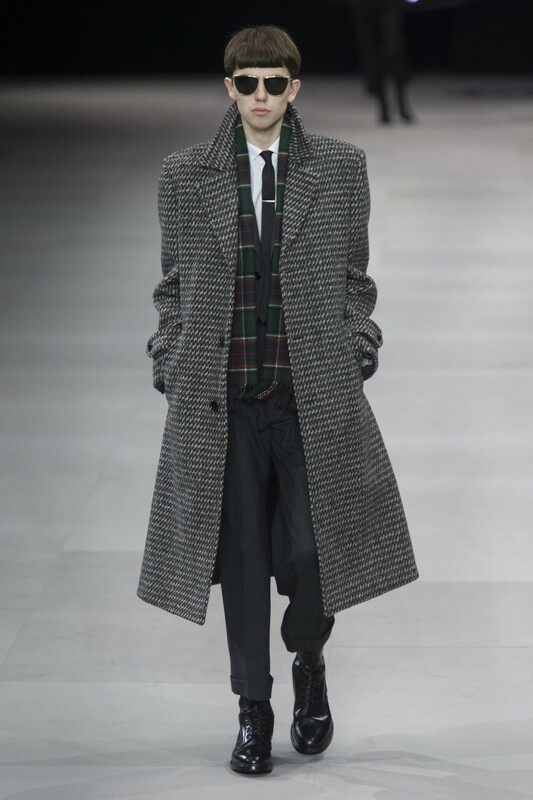 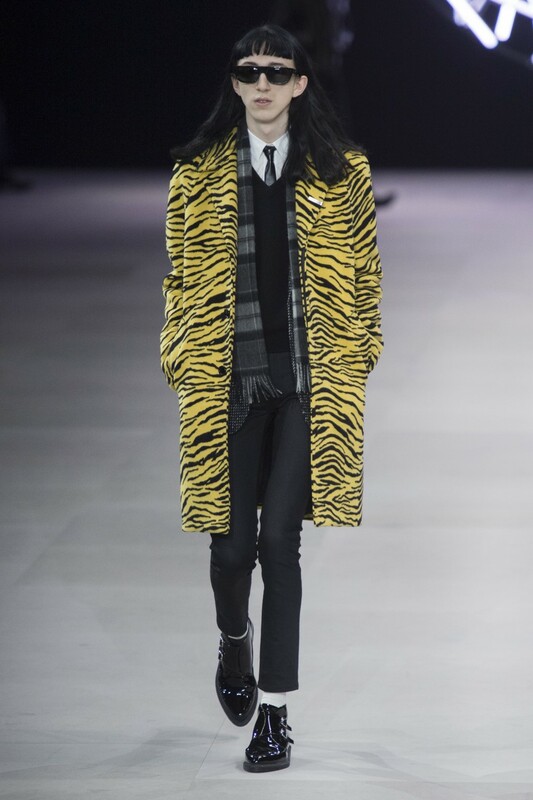 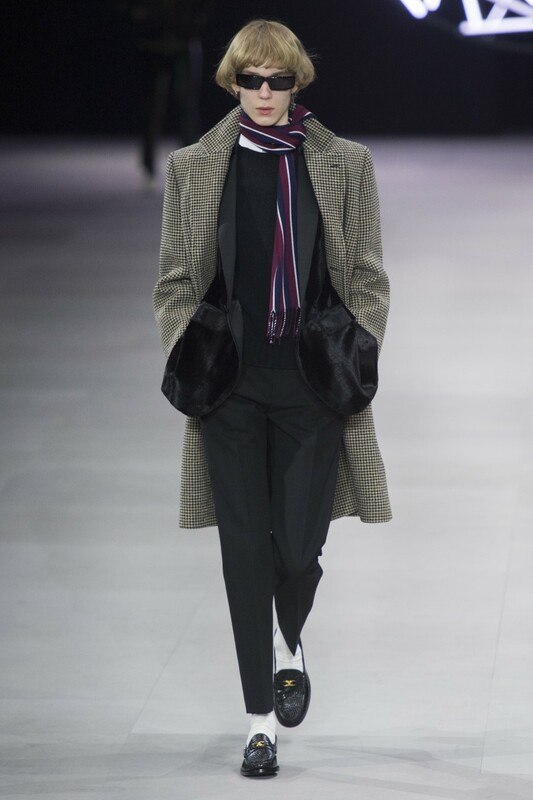 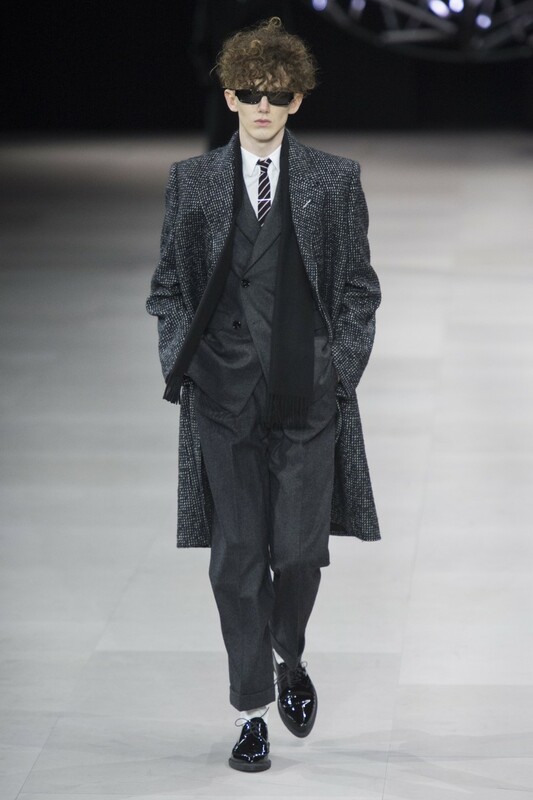 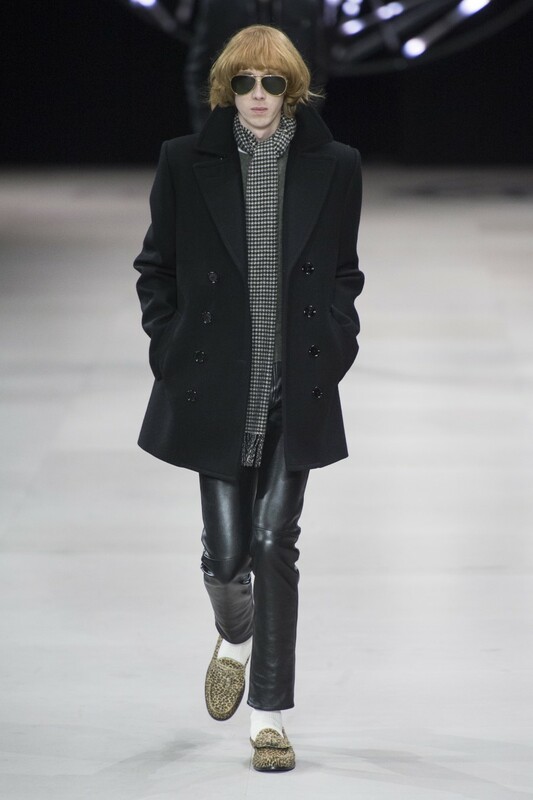 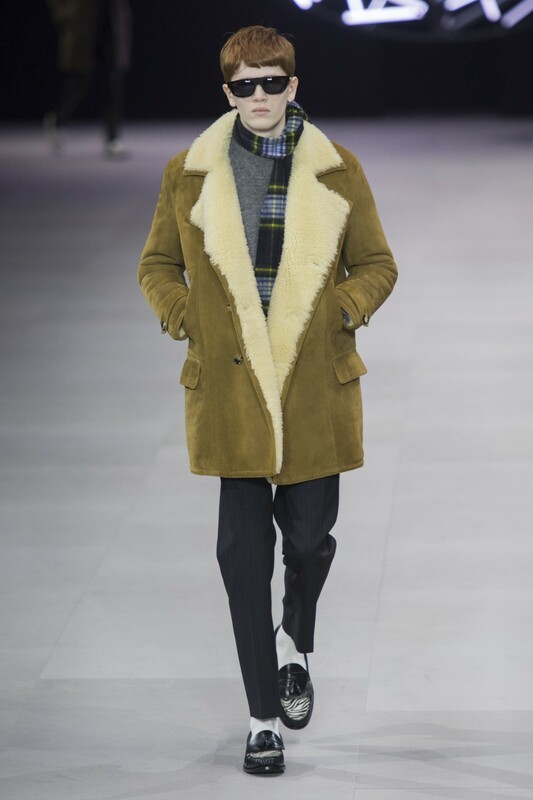 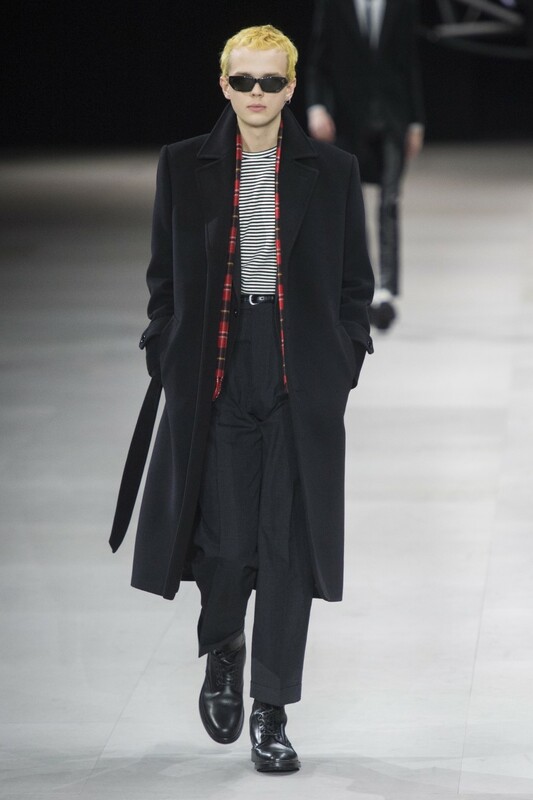 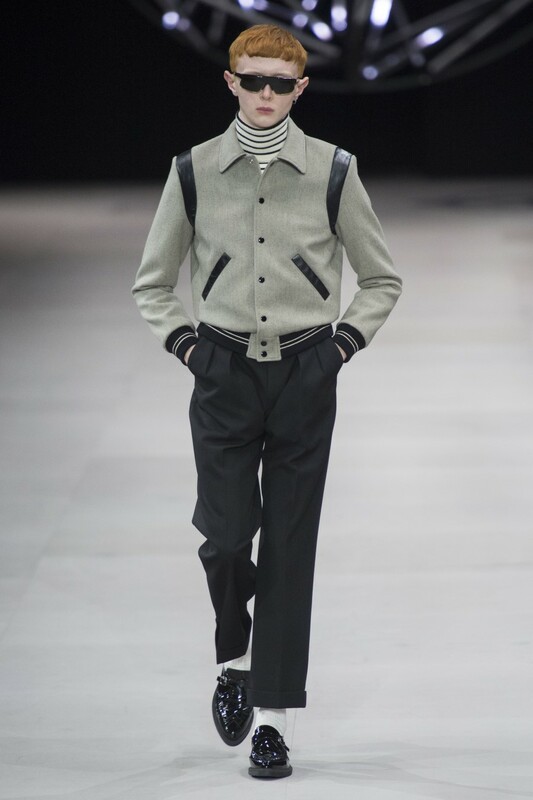 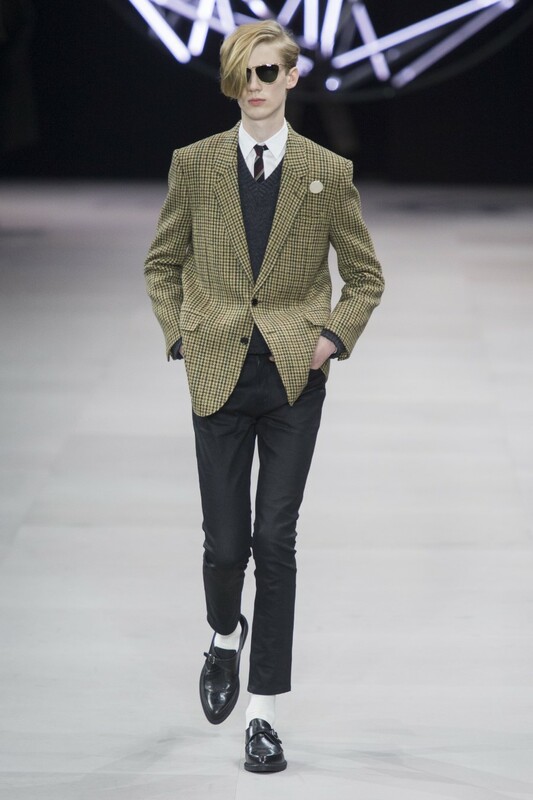 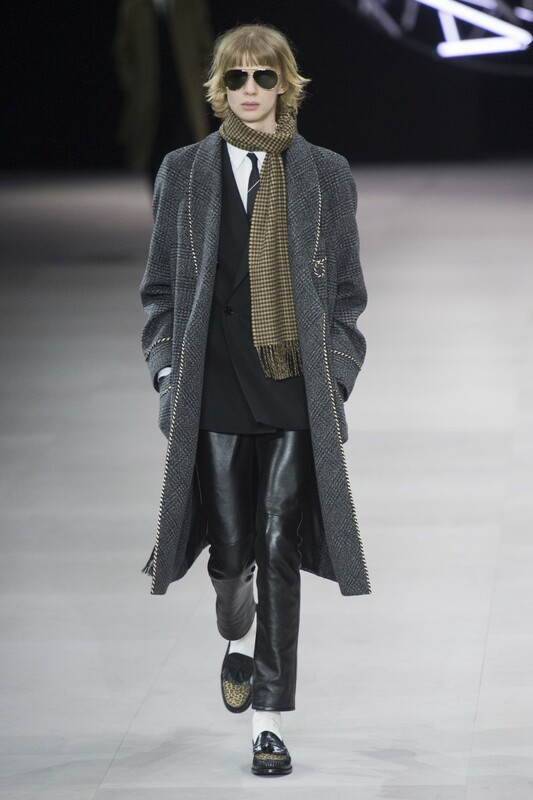 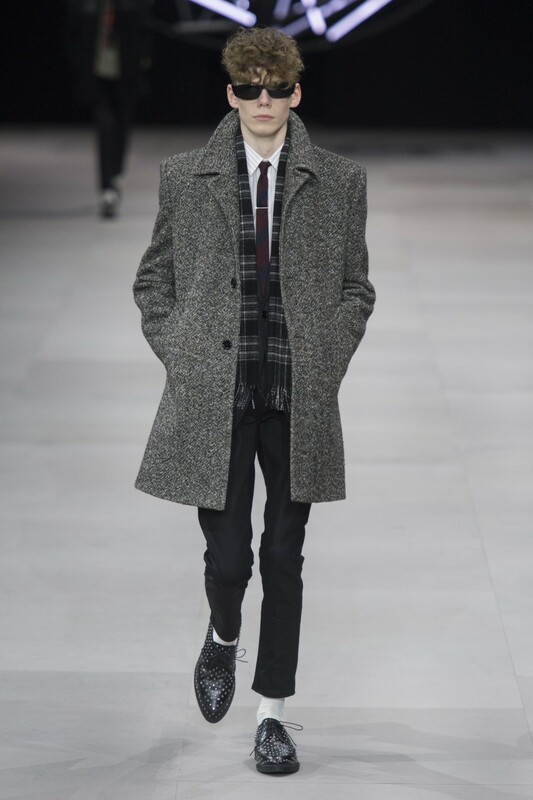 Titled ‘’Polaroids of the British Youth’’, the Celine Men’s Fall/Winter 2019 collection by Hedi Slimane was an ode to British youth. 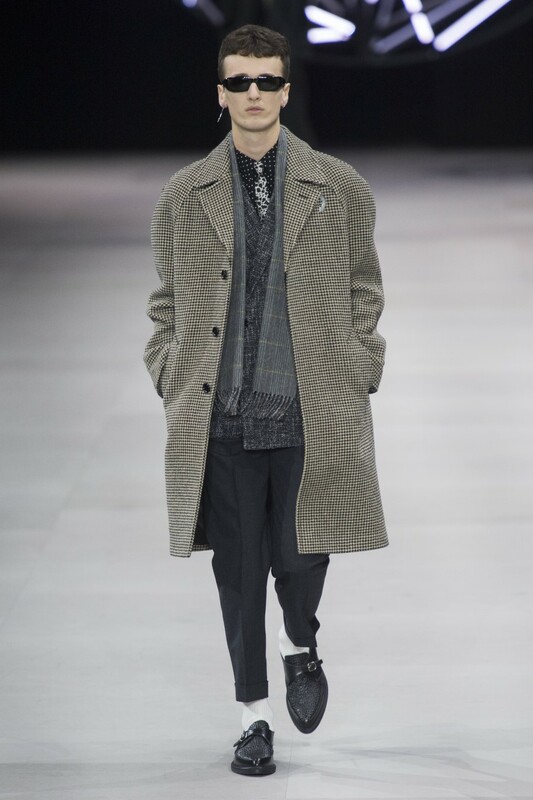 There was a glowing geometric pendulum swinging during the show where the soundtrack of the event was the song ‘’Philosopher’s Calling’’ by Canadian collective Crack Cloud composed exclusively for the event. 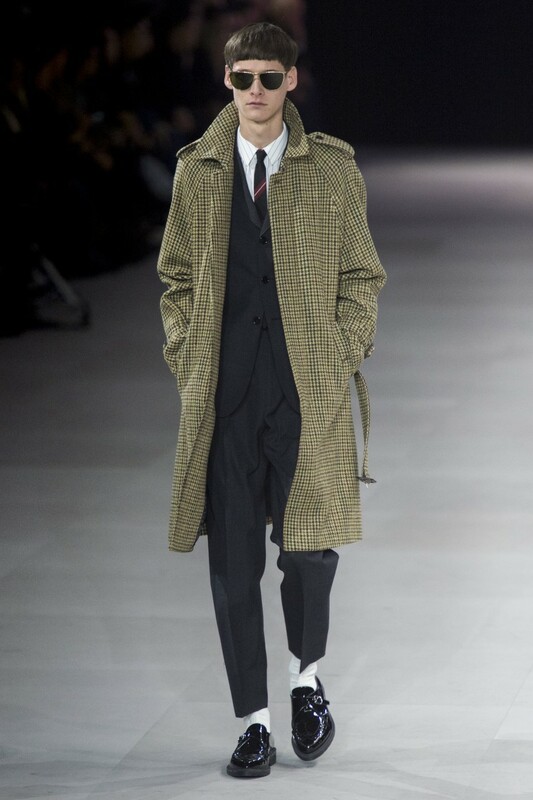 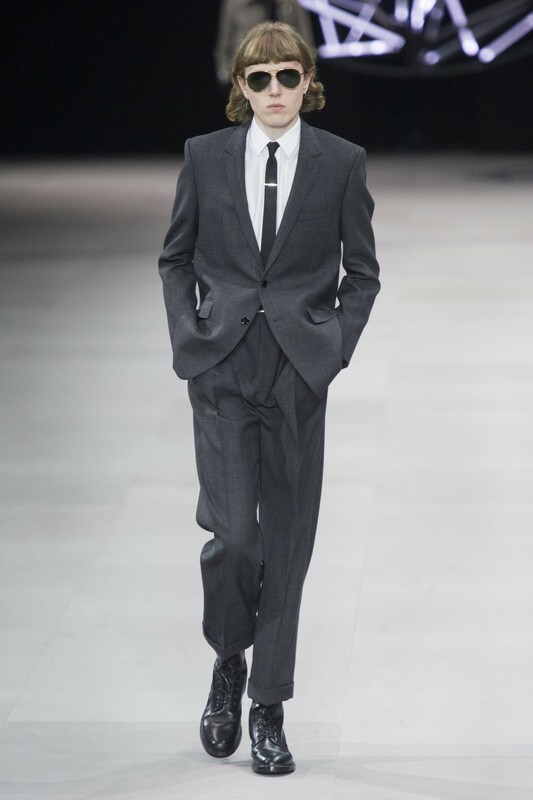 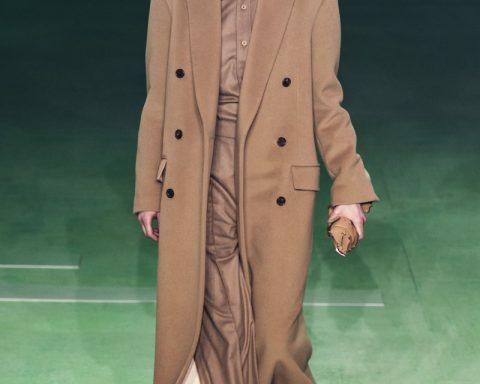 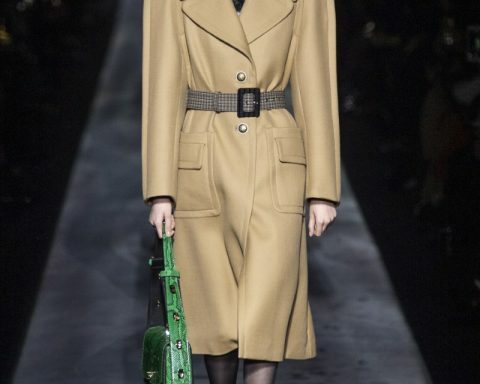 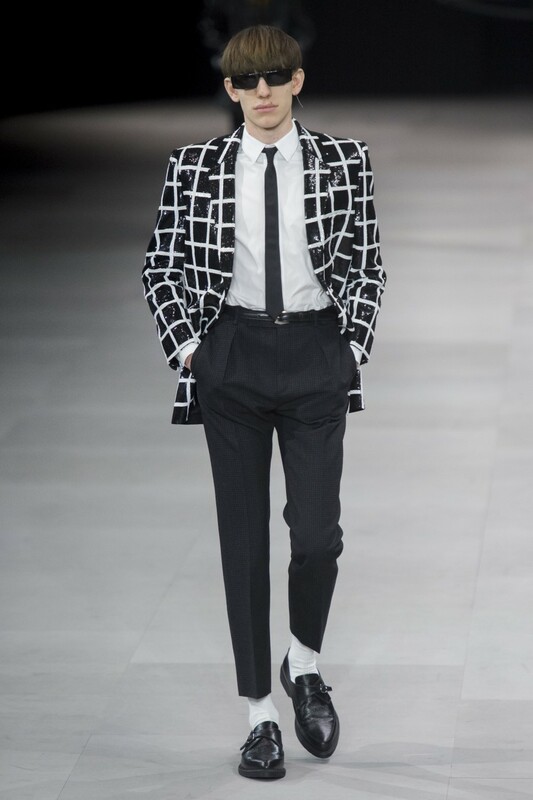 Paying a nod to the 1960s, tailoring is front and center for this collection.